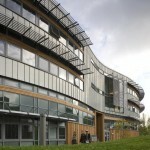 York Developmental Social Neuroscience Lab is part of the Department of Psychology, at the University of York. Our research broadly concerns the origins and development of young children’s social and emotional competence. We are particularly focusing on three main topics: empathy, emotional information processing, and action perception. We study infants, toddlers and children and for this purpose we use a variety of methods (behavioural, neuro-imaging, and psychophysiology).